The Specials have thanked fans after scoring their first-ever number one album – 40 years on from the release of their debut. Encore, the new album from the ska legends, saw off competition from noughties pop-punk band Busted, who had also been hoping to top the album charts for the first time. 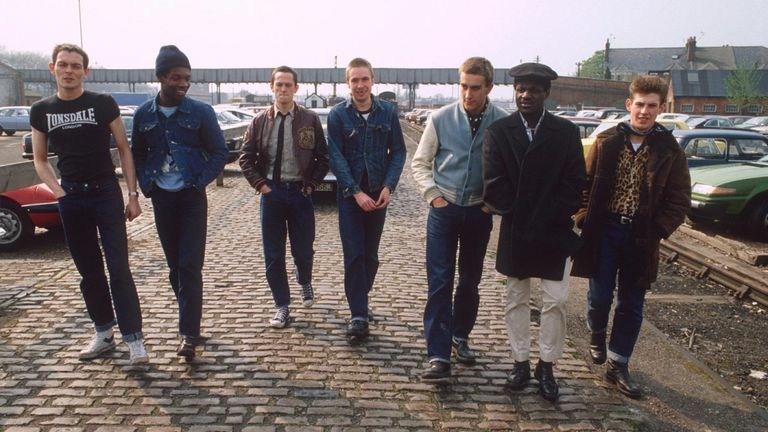 After numerous splits and reunions over the years, the current incarnation of The Specials features original members Lynval Golding, Terry Hall and Horace Panter. Speaking to OfficialCharts.com after getting the number one, the band said in a statement: “Recording the album has been one of the most amazing trips of our lives. What can we say? It couldn’t have been better timing. The Specials, known for hits including Too Much Too Young, Ghost Town and A Message To You, Rudy, formed in Coventry in the late 1970s. Infusing ska with punk, they provided a musical backdrop to economic recession, urban decay and societal fracture at the time, and quickly became huge. However, they released just two albums, The Specials in 1979 and More Specials in 1980, before they disbanded due to tensions within the group. After reforming in 1993, they have seen several line-up changes since. Describing their latest album, the band say on their website that it acknowledges “the last 40 years, taking what The Specials did and moving it forward – and you can dance to it”. It won this week’s chart battle by 1,060 sales, clocking up 89% physical sales. Busted’s Half Way There, their fourth album in total and second since their comeback in 2016, is followed at number three by The Greatest Showman soundtrack, which spent 28 weeks non-consecutive at number one before being knocked from the top spot last week. Three other new albums made it into the top 10: Ripples by Stone Roses frontman Ian Brown (four), London rapper Fredo’s first full-length album Third Avenue (five), and Steps singer Claire Richards’ debut solo record My Wildest Dreams (nine). Ariana Grande remains at the top of the singles chart for the third week in a row, with 7 Rings.